Home /Facebook » Want to reach your audience on Facebook? Post on Sundays! According to a new study by Buddy Media, many digital marketers are getting Facebook all wrong. 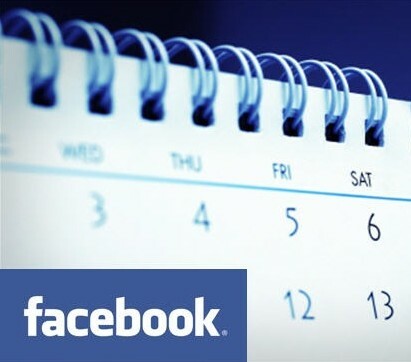 If you’re choosing days to post content or information on Facebook, make sure you include Sundays (which is the best opportunity of the week). The study, entitled “Strategies for Effective Wall Posts: A Timeline Analysis” studied the user engagement of over 18,000 Facebook pages from some of the biggest brands in the world in order to determine how companies could maximise interaction using the new timeline feature that was launched earlier in 2012. Buddy Media collected data over the course of two months after all the Facebook pages were moved to the new timeline layout. The results of the study coincided with earlier reports on the subject: Facebook users appear primed for interaction on weekends, but brands aren’t posting on weekends. The study also concluded that marketers weren’t posting enough at night time (when their target audiences are on the site). While this is a notable trend, one has to take note of the different trends in timing and engagement across various industries. In the advertising industry, for example, weekend posts get 69% higher interaction, but only 11% of posts are published on Saturday and Sunday. In the fashion industry, however, Thursday is best day to post content on Facebook. Another trend that Buddy Media noted was that brief Facebook posts (with 80 characters or less) receive 23% higher interaction than longer posts. Facebook posts with photos also received interaction rates 39% higher than average, making it the top content to post on this social media platform. Using stats like these as a guideline can change the way you engage with your brand. While there’s no definitive strategy, it’s a good idea to experiment with different times, days and types of content to find out how you can best connect with your target audience.